Stunning full of sunshine show piece unit in beautiful Tudor Arms. Old world charm with todays upgrades. Detail moldings, hardwood floors with Mahogany inlay, French doors that lead to a fabulous living room. Updated Eik with granite counter tops and stainless steel appliances. Pristine bath and bedroom. All rooms are of generous size. Many amenities : First floor above grade, new courtyard, landscaping, gym, laundry room, furnace and Doorking intercom system. 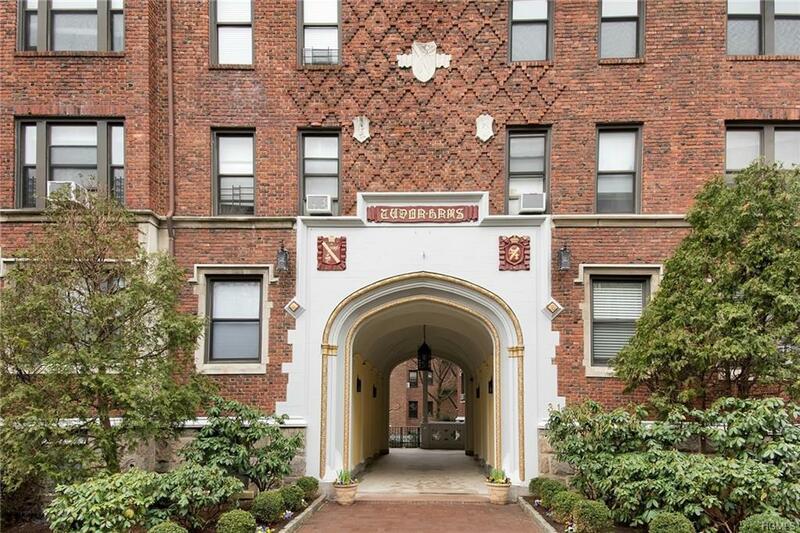 Close to Bronxville train station, village, shops, movie theater and all transportation. Maintenance does not reflect star reduction of $98.58 monthly. A must show! Listing courtesy of Gloria Liscio of Berkshire Hathaway Hs West. Pr.